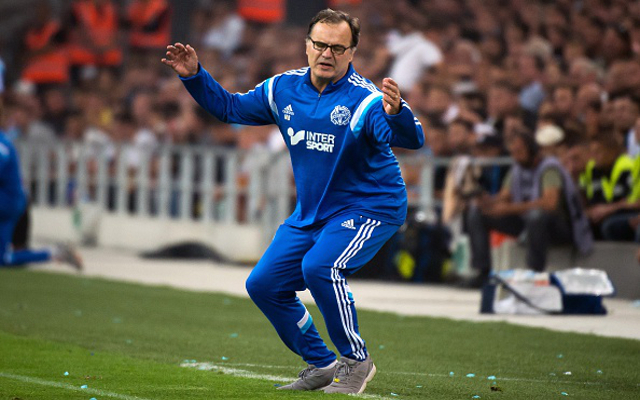 Olympique de Marseille coach Marcelo Bielsa and AS Monaco manager Leonardo Jardim have been snubbed in the Ligue 1 Manager of the Year shortlist. The four-man pool for the award is headed-up by Paris Saint-Germain coach Laurent Blanc, whose side appear on-course to retain the Ligue 1 title this season. However, Hubert Fournier’s Olympique Lyonnais are hot on the heels of PSG in the race for the title, and the OL coach will also be hoping to usurp Blanc for the Manager of the Year award as well. Christophe Galtier—the highly-rated Saint-Etienne coach who has emerged as a target for Newcastle United in recent months—is also listed. Galtier is considered an outsider for the honour, but his work at ASSE—who briefly found themselves in the Champions League places last weekend—cannot go unnoticed. Jocelyn Gourvennec, whose En Avant de Guingamp side continue to overachieve while playing attractive football, completes the list, according to L’Equipe. The omission of Monaco coach Jardim is something of a surprise. The Portuguese manager overcame a sluggish start to guide the Club of the Principality back into the top three and also guided them to the quarter-final of the Champions League, where they were only defeated 1-0 by Juventus on aggregate. Had the shortlist been released a month and a half ago, Bielsa would surely have been a contender. However, the coach’s stock has fallen after a dismal end-of-season slump for Marseille which has seen the Phoceens slip out of the title race.